Probably because when you start ripping a game you don't leave out sheets that are similar previous ones. 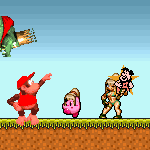 If you have the sprites, you upload. That way you can have an entire game ripped instead of bits and pieces.